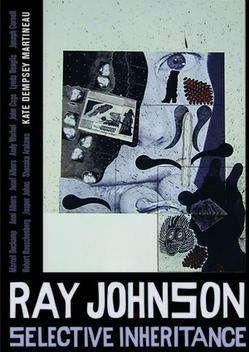 Believing that one thing was real only insofar as it corresponded with others, twentieth-century artist Ray Johnson highlighted the connections between himself and other artists including Andy Warhol, Jackson Pollock, Anni Albers, and especially Marcel Duchamp. This study of Johnson through the lens of Duchamp and the other artists who inspired him entails the investigation of hieroglyphs, codes, action figures, queer theory, and cultural history. By examining Johnson’s collage and Correspondence art in relation to his main inspirations, this critical work brings new light to the study of Johnson and to the dynamic networks of artistic inheritance and correspondence of the twentieth century.